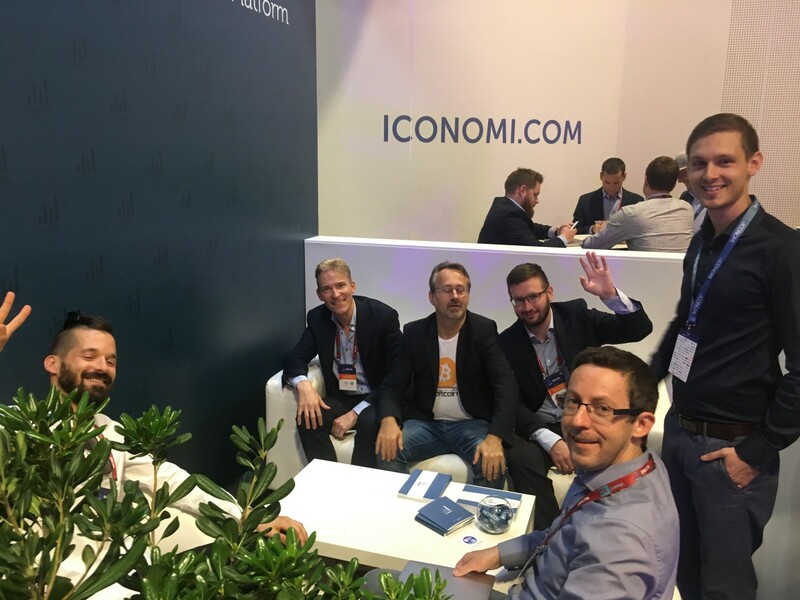 In October, we opened a new chapter for ICONOMI by publicly announcing eICN, one of the first security tokens. Once again, we are taking advantage of this window of opportunity in a competitive landscape that continues to evolve at a fast pace. Read on for more details about this transformation and much more. On October 30, we released the process for submitting non-binding interest in converting ICN to shares in ICONOMI AG (and, later, to eICN) or exchanging ICN for ETH. Read more in our announcement. We also published Part II of our series answering the most common questions regarding eICN, the upcoming ICONOMI equity token. Part I is available here. More information about eICN is also available in our initial announcement and the technical and legal overview. We released the Q3 Financial Report, in which we review our progress for the year, provide some key numbers, and explain our new focus on B2C activity. In an effort to focus our attention on quality over quantity, we will be discontinuing the biweekly ICONOMI Digest. Monthly Updates will continue as before. We want each piece we publish to have an impact, which means adjusting content and updates for those new to crypto, following market dynamics, producing more data-driven content, and more. Before the end of the year, we will be publishing both a review of ICONOMI’s progress in 2018 and an outline of our roadmap for 2019, similar to the roadmap we published for 2018. On October 12, we announced the restructuring of Pinta and BLX (previously managed by Columbus Capital). Columbus Capital is no longer managing Pinta. Pinta’s assets will be moved to ICONOMI’s treasury. 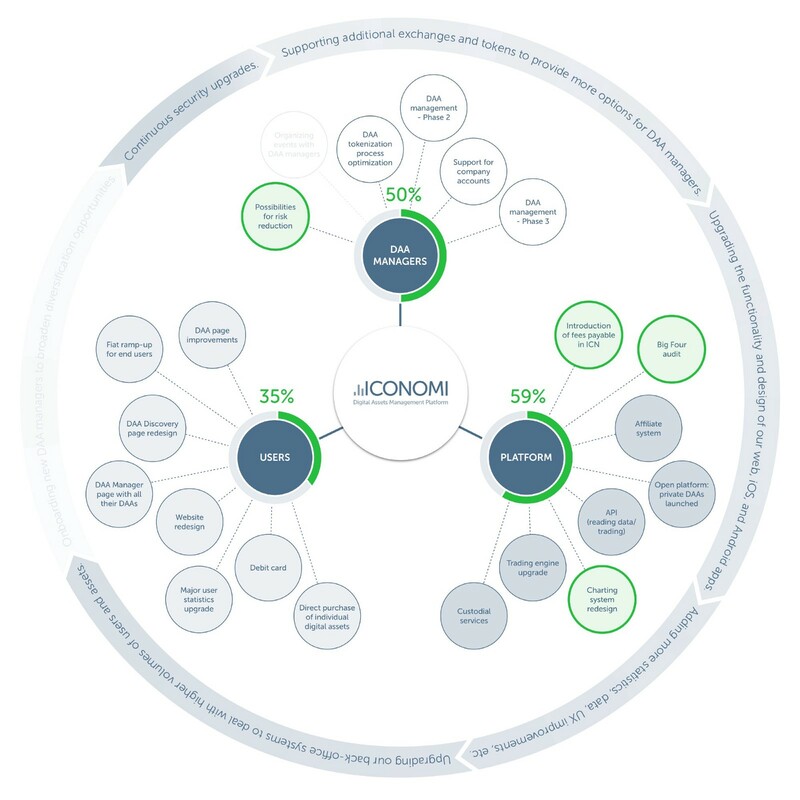 This makes ICONOMI more flexible for taking advantage of potential opportunities, since assets will not be used only for investments but also for supporting the growth of our business. You will be able to follow asset allocation through our quarterly financial reports. Read more about the restructuring here. 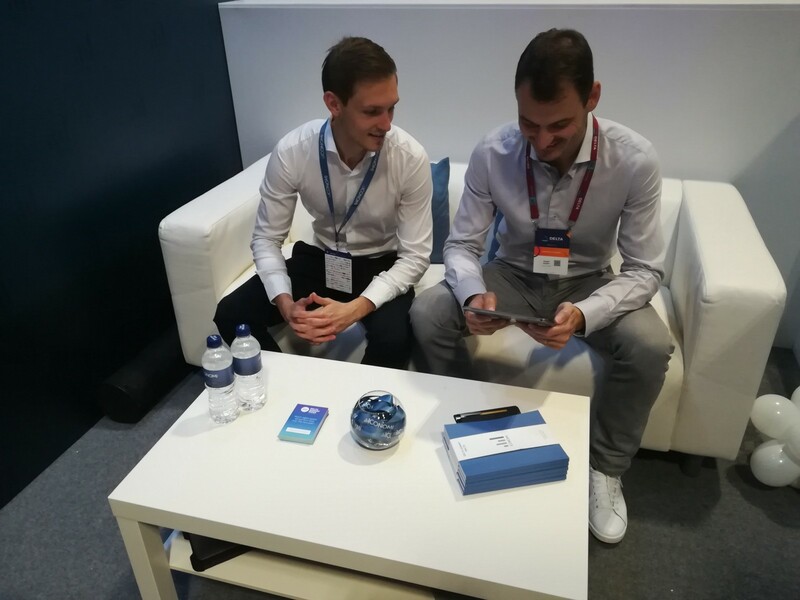 ICONOMI CTO Miha Vidmar made the first direct purchase of BLX using the fiat gateway on the ICONOMI platform at Delta Summit. You can watch this historic ICONOMI moment here. We’re making constant progress on the fiat gateway, which is currently in beta, and will keep you updated on our official communication channels. With the fiat gateway up and running, users will be able to do everything directly on our platform, from buying their first digital assets to diversifying into Digital Asset Arrays. We have released the first version of our public API. We will continue to improve on the API and add new functionality. Read the documentation on our website. On October 12, we published our development overview for Q3, in which we highlighted the first direct purchase of BLX with euro using the fiat gateway (in beta) and the release of the public API. Learn more about our development progress here. 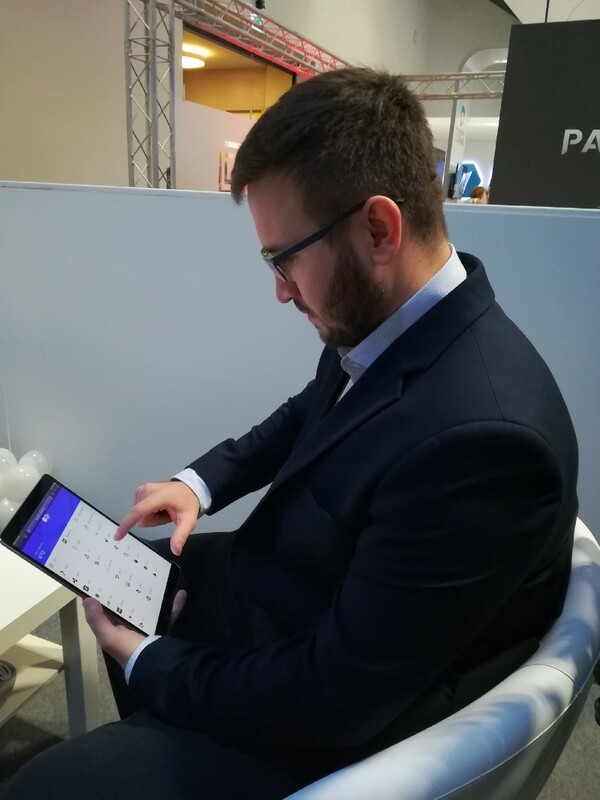 ICONOMI COO Matej Tomazin was interviewed by Crypto Potato about eICN, security tokens in general, and other topics. On October 19, we announced the conclusion of the Delta Summit Index prize drawing. The winner’s DSI holdings were doubled for a total of more than 1,000 DSI. We look forward to seeing the performance of DSI, one of the world’s first crowdsourced indexes, in the coming quarters. 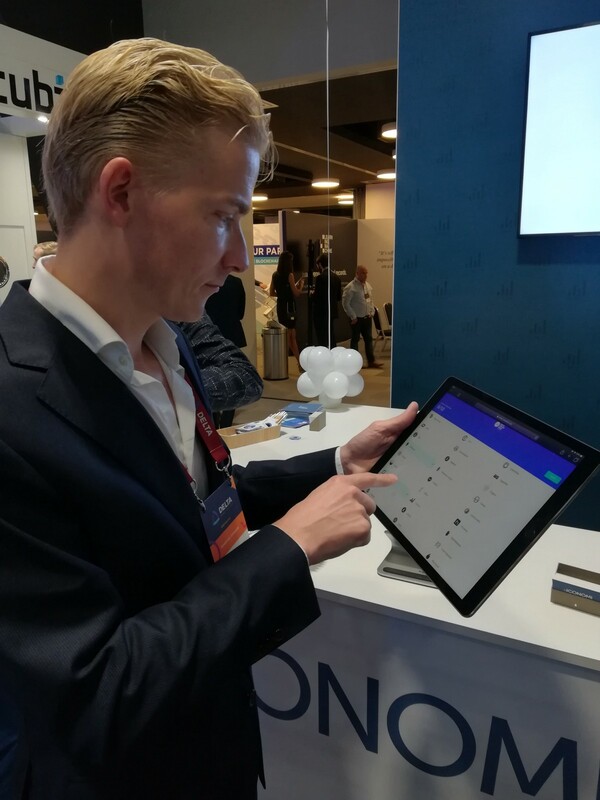 From October 3–5, ICONOMI attended and exhibited at Delta Summit Malta, where we launched Delta Summit Index, which is now live. 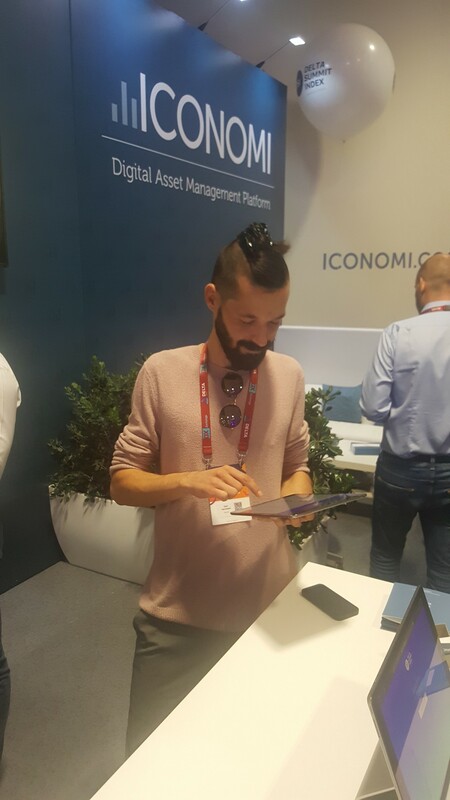 As an ultra exhibitor of the event, we had a great opportunity to meet up with blockchain and digital asset industry professionals, as well as our DAA managers, at the ICONOMI booth. Many new connections were made, future trends identified, and great ideas exchanged. It was an honor to establish one of the world’s first crowdsourced digital asset indexes for the occasion together with event attendees: Delta Summit Index (DSI). ICONOMI co-founder Jani Valjavec gave a talk titled “Moving Toward Tokenization: The Path Forward,” while ICONOMI CEO Tim M. Zagar participated in the “Tech Innovation & Industry Disruption” panel to discuss the transformative impact blockchain will have on the way we do business. On October 15, ICONOMI sponsored the MakeIT event in Slovenia. ICONOMI CTO Miha Vidmar spoke about his experience building a working product on blockchain (and in Java), the technical maturity of the blockchain space, and how the blockchain space is evolving at the MakeIT conference in Slovenia. Miha gave an overview of ICONOMI’s architecture and the good and bad aspects of the blockchain ecosystems ICONOMI works in, from the current state of blockchains to the state of exchanges. Prestel & Partner is organizing its annual Family Office Forum in Zurich from November 13–14. ICONOMI COO Matej Tomazin will give a talk titled “How will Cryptocurrencies and Blockchain Change our World?” Join him at 10:00 on November 13 at the Dolder Grand. On November 27, we will be exhibiting at Consensus: Invest. The event aims to deliver discussions and debates about trends and investment opportunities in the digital asset world. Meet us at the New York Marriott Marquis at booth #37 to discuss the prospects for 2019 with us! Diversify your digital portfolio with ICONOMI. 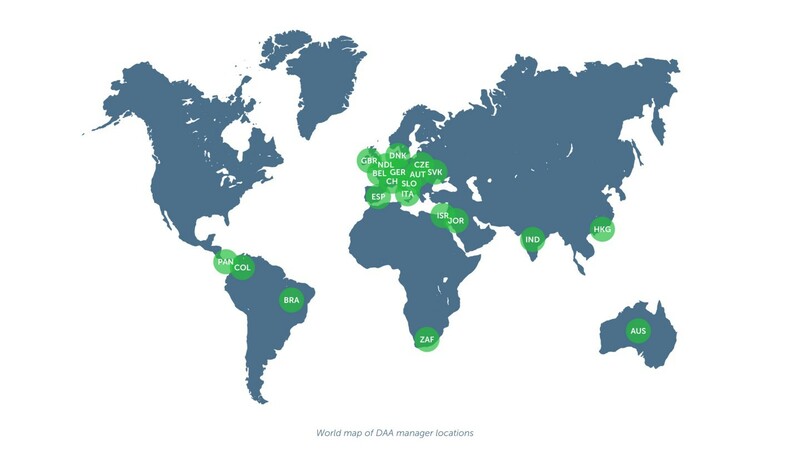 Explore over 30 Digital Asset Arrays here.